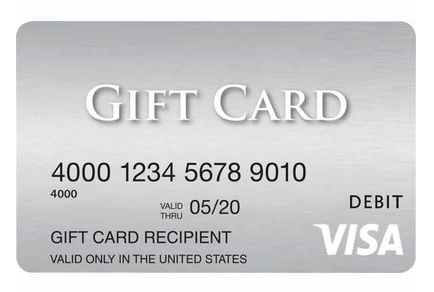 It seems in the miles/points realm a question as old as time is whether it makes sense to purchase Visa gift cards at an office supply store in order to generate awards. Such a question recently came up in the Miles to Memories Facebook group and I thought it was worthy of an updated post given the new recent options that have surfaced. Before I start, there are occasional discount deals like this week’s Office Depot promotion which make the math much better. Those aren’t too common and this post is dealing with the normal math outside of when a promotion is running. Basically, does it make sense to pay the purchase fee given the rewards earned? Let’s take a look. The way I see it, there are three “value” options for purchasing PIN-enabled Visa gift cards from an office supply store. Each has slightly different math. Option 1: New “Everywhere” cards at Office Depot. Load up to $200 for $4.95. Math: $1,200 in gift cards costs $29.70 in fees and generates 6,149 points at 5X. Option 2: Standard $200 Visa cards at Office Depot & Staples. $200 for a $6.95 fee. Pros: Widely available. Can be used at any merchant. Math: $1,200 in gift cards costs $41.70 in fees and generates 6,209 points at 5X. Option 3: $300 Visa gift cards online at Staples. $300 for $8.95 fee. Pros: Order online. Higher denomination = less cards. Cons: Regular mail. Chance of getting lost. Staples sometimes cancels orders. Math: $1,200 in gift cards costs $35.80 in fees and generates 6,179 points at 5X. How much does each card cost to liquidate? How much is your time worth? Factor that value into your calculations. How much 5X bandwidth do you have? If you can get close to your 5X limit ($50K with Ink Plus for example) with discounts, promos and regular spend, why would you pay to buy points? I wouldn’t do it, but you could pay yourself back the fees by cashing in points and keep the rest of the points for “free”. There are many other things to consider if you are new. See the comments for some more ideas. Of course the new Chase Sapphire Reserve changes the math for everyone. For example, let’s look at the “Everywhere Visa” example. Those are the cheapest cards per point. If we buy 6,149 points for $29.70, we can then use those points for $92.24 worth of travel. Depending on your liquidation time and costs, that is pretty intriguing. If we now look at the Staples online example, you pay $35.80 for $92.69 worth of travel. More expensive yes, but there are two key differences. First, you can order these online which saves you the time and effort of driving to a store. Also, you only have to liquidate 4 cards instead of 6, which could save on liquidation time and costs. Depending on these factors, especially the value of your time, this could be a much cheaper option. There are a ton of ways to look at the math for these types of things, but in the end it comes down to a calculation. Are you getting the value out of your time and the money spent? I think for a lot of people the answer is yes, but to go through the hassle of doing this (and it will be a hassle at some point) without an idea of what you are getting out of it, probably isn’t a good idea either. Next articleAirfare Steal: US to Europe from $380 Roundtrip! Yes we have 50k to blow through but I’d always advise someone to take a more aggregate view, beyond the scope of the math, to determine if this is a long-term play that they’re comfortable with. Some people go crazy and go from $500 in the first two months to $11,000 in month 3 (all of which is 5x) and then wonder why they’re in hot water with Chase. The banks have shown us they’re combing through data and they’re not oblivious to whats going on nor will they sit idly on the sidelines. It doesn’t mean you can’t buy gift cards. It’s more so a question of what value are you providing to the bank that may keep you in their good graces in the long run. I personally try to use my INK card for everyday spend, when I’m not meeting minimum spend requirements. Just my 2 cents. Just one more thing to add. I know this was purely based on ones time + math so I’m not saying that you omitted anything. I’m just adding on and suggesting that people NEVER look at it from just what the math tells them without at least considering other factors. I totally 100% agree with Ace 21 here. Under the Section “Things to Consider”, there should be another sub-section called “Further CRITICAL Things to Consider”. All veterans can see what JPM Chase and the CSR has done. I dont even need to say it. Go look at all the comments and questions. However, I dont see enough warning posts. Not enough talk about how the game has changed. 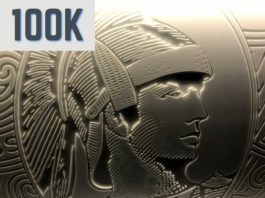 Banks are not stupid and too many are abusing the CFPB tool. If you’re suggesting that Chase is now targeting for some sanction those of us who meet much of our spending bonus requirements via ms techniques, like gc spending, then let’s hear more about just how this is happening. You want warnings to protect … somebody, but then you tell us you don’t need to spell it out. How self-satisfying a sense of knowing that must be. Yet do tell. Well, the annual limits are in place here which I think severely limits Chase’s exposure. With that said, everyone should be aware of all potential issues and I’m glad you guys posted this here. Thanks Anthony and good points. I added a note for people to read the comments for more things to consider. Warnings are good in all posts. We are all adults and we know our limits. Lots of secrets among the oldbies that us newbies are trying to figure out. Flyertalk is a mess and there are people lying on there about how things are done or they attack you for asking. Time is money and money is time. You either have more time than money or more money than time. So, you have to figure out where you fall in that continuum and make the choice: do you pay up or do the time? Of course, this equation fails to factor in the value that you place on the enjoyment of either paying up and having more time, or the joy of using time and not paying up. Everyone has a bit of a different preference. I may enjoy the “game” of paying as little as possible using my free time – which I am not being paid – to MS. Then again, I may enjoy “knowing” that I “can” pay up, but choosing not to and getting more lower cost points is a reward in itself. I may do the exact same thing as you but my reasons can be very different. This is a philosophical question that doesn’t have any right answers. There are valid questions to assessing your behavior and whether or not you are getting more benefit in your current behavior or whether you would be better off changing it. Do you buy time (pay up) or do you spend time? The problem like the Style card they are not good everywhere, we are taking about $2.00. Depends on what your time is worth. I would personally avoid the Style cards unless you absolutely know you can liquidate them. The Dining cards seem a bit easier, although that could change at any time. what is the dining rewards site? I should register mine! Totally agree with JohnG – Flyer Talk was a place where you could learn the ropes but has turned into a secret club where anyone not “in the know” is flamed, ridiculed and lied to. You don’t know what to believe from “those people” and, frankly, it’s turned into a mess. It’s been that way for a long time. There’s definitely some valuable information but for my purposes I only use FT when searching for answers or data points. Never forget the factor of whether you are buying cards to meet minimum spend, or just to add some miles to your account. The reward difference can be “H U U G E” as someone likes to say. I don’t think I will order from staples anymore for $300 cards. Not everyone can or wants to get in on every deal, but this OD/OM week was my third, so I went for it. I have been around for 3 years, but I just started this faze now that I have had most cc offers. It is good to put lots of warnings but we all know this is a loophole they are probably trying to prevent. I don’t know how or who is making out when we buy these cards. If they keep us traveling, they keep us spending money in all the places we go on their cards. There are lots of seats and rooms to fill. I try to read Flyertalk, but MTM makes it easier to understand and I am thankful. agree about the helpful info, prompt reply & straight answer from MtM so far! Glad to help Dan & Liz! Chase is the one losing out in this case. The only ones making out (assuming you never keep a balance) is us. Flyertalk isn’t a friendly place, regardless of your experience. FT is mostly a place for random data points. As far as practicality is concerned this is no doubt the site to keep up with. DoC (doctor of credit) has other deals as well like bank bonuses or high yield interest accounts. Bookmark (subscribe) both sites and you’ll be in business. Thanks, I wonder why the stores think it is beneficial to them to put the cards on sale. Do they get anything from this? Does visa pay them to put on a sale? MSP OfficeMax has a 5% cashback Visa gift card. Any downside on this product? Rebate goes back on to the gift card. Hard to keep track of multiple gift cards. It is still a very new product so hard to tell if there are other down sides. Sorry for not being more clear. This article is about earning with the Ink, but the Sapphire Reserve section was discussing how you could redeem those points if you had both cards. do we get the extra 2x points for buying these using the chase portal?